Although I'm from Seattle, I'm not a hippie. People seem to think those of us from Seattle or Portland all wear tie-dye and hug trees. On this rare occasion, however, I'll admit I'm mimicking the stereo-type. 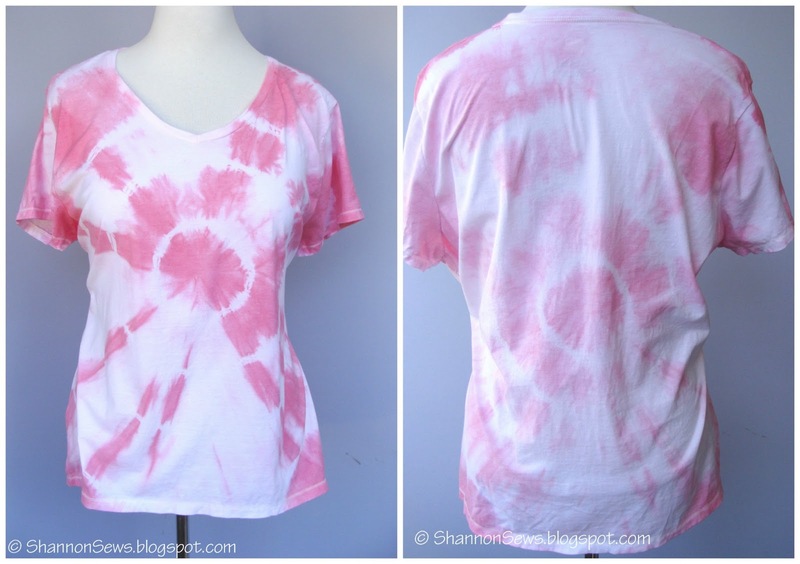 I decided to make my own tie-dye t-shirt, and although I do like trees, I don't think I've ever hugged one. 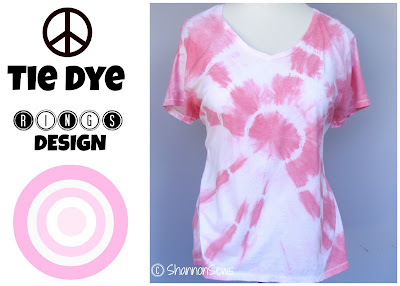 I purchased pink Rit dye, found a perfect white v-neck t-shirt (*see info below) and followed this great tie dye tutorial on Pinterest. The only problem I found was that because I hadn't pre-wetted my t-shirt, the colors didn't disperse as well. I still love it though. Note for next time. I love how the pinks gently fade in and out of the white of the shirt and go from shades of faded rose to pedal pink and everything in-between. *Okay, about the white t-shirt. Are you sitting down? 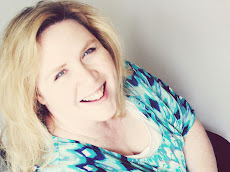 I found the PERFECT white Hanes t-shirt at Walmart for only $5.00 for this project! I'm still in shock. It's medium weight, soft, and perfect to wear as-is or turn into a craft project. I'll admit, I had to get one in a few different colors. They are so comfortable - not at all what I would expect for 5 bucks! I'm not getting paid by Walmart, I just wanted to share the link so you can see them. Go to your local Walmart and see if they carry them! Closing thoughts on tie dye: I always had the idea that tie dye was messy and drippy and stainey and I could only do it in the summer on a giant lawn with a hose and gallon sized buckets. But the truth is, making this t-shirt in a pot on the stove (as you can see in my how-to video) made all the difference. When I made my first dip-dye t-shirt, I had a lot of color running down the sink when I rinsed my shirt. This time around, there was very little to rinse because the color had locked on to the shirt through the use of heat. Just a thought. This project's not as crazy as you think it might be.